Al-Maktoum College was pleased to be involved in this year’s George Donald Fund Secondary Schools’ Enterprise Challenge in Dundee and across Angus. Assistant Professor (Lecturer) in Gender and Development, Dr Masoumeh Velayati was one of the judging panel, while the College also donated the prize trophy, which was won by Braeview Academy. The challenge, with 17 schools taking part this year, commemorates Captain George R Donald MBE, a long-serving solicitor and secretary of Dundee and Angus Chamber of Commerce, who was passionate about the education and training of young people for careers in industry and the professions. Fund trustees organised the event along with Dundee City Council’s education department, the Chamber, Abertay University’s Dundee Business School and community interest company, Along Came Kirsty. The teams of pupils – sponsored by Chamber member, Key Talent Partners offering practical advice – faced a live business challenge set by Abertay with tight deadlines applying. The task was to create a new business idea to meet the needs of future Dundee and Angus growth. The other judges included Chief Executive of Dundee and Angus Chamber, Alison Henderson, Ian Collins, area director at Bank of Scotland. The panel chose an ambitious airport expansion plan by Dundee’s Braeview Academy as the overall winner.  Fund Trustee and Al-Maktoum College Council member, Sandra Burke OBE, said: “The Trustees are delighted that this year’s challenge expanded to include all of Dundee and Angus’ secondary schools. “Getting young people to unleash their creativity and business ideas in such an enjoyable, but realistically competitive way, provided a fantastic learning opportunity for everyone involved”. 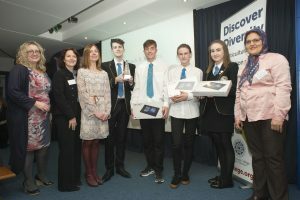 Banner picture above shows, from left to right, Dundee and Angus Chamber’s Chief Executive, Alison Henderson, Eleanor Yearwood of Key Talent Partners, Lisa Craven, business studies teacher at Braeview Academy, winning pupils and Dr Velayati.